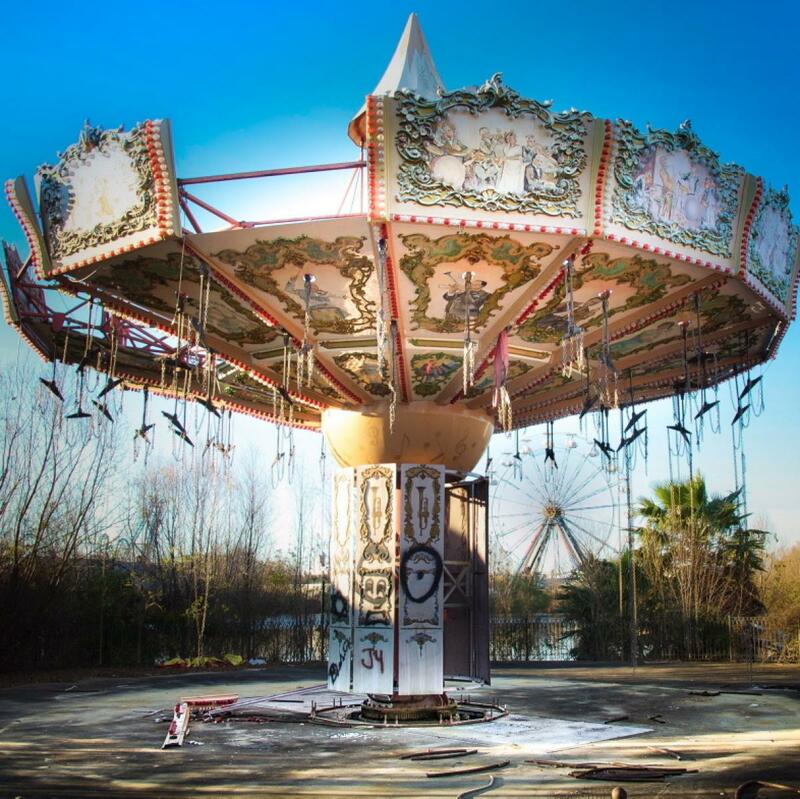 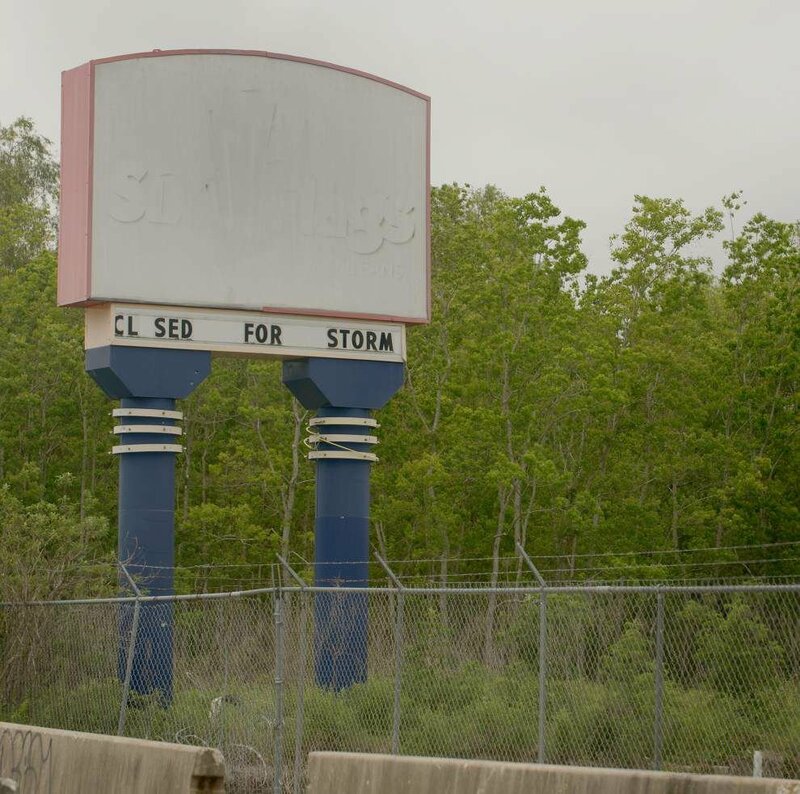 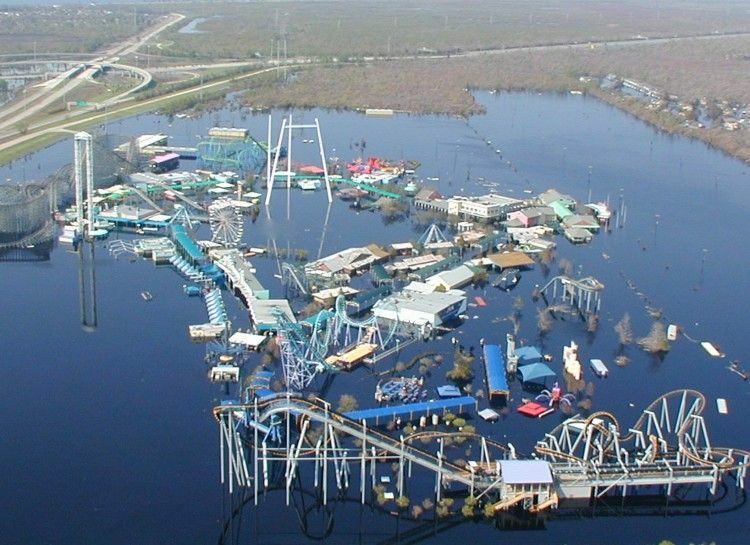 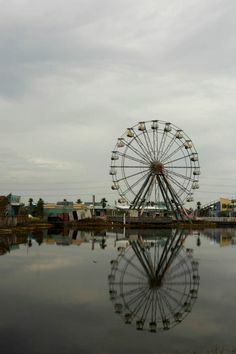 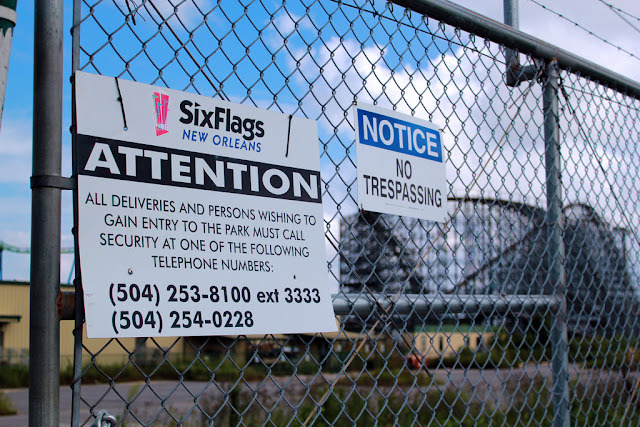 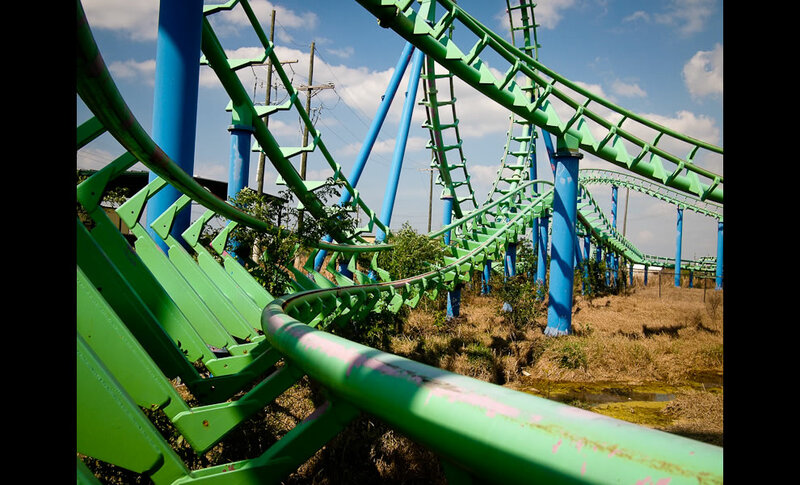 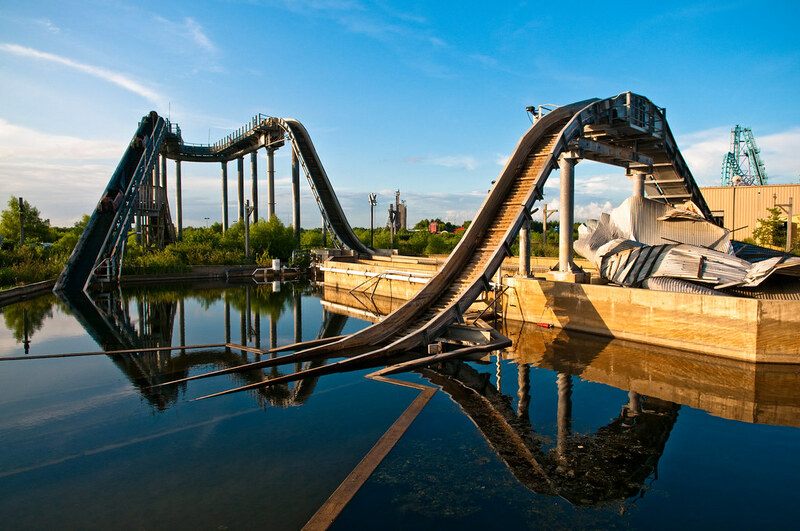 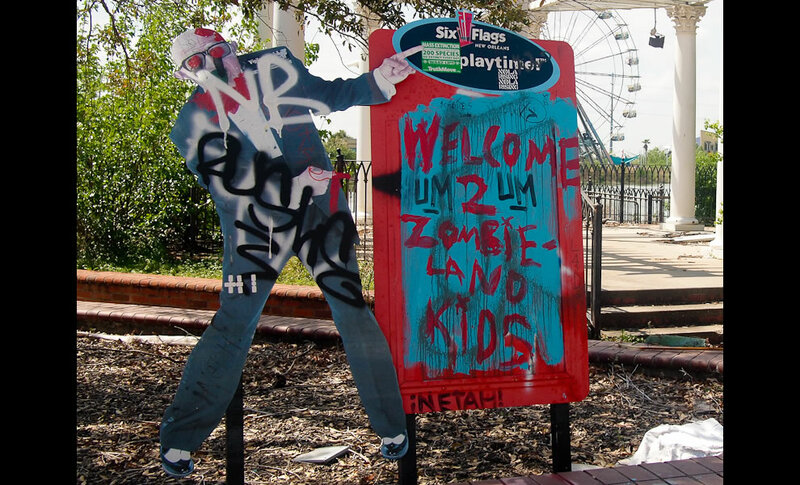 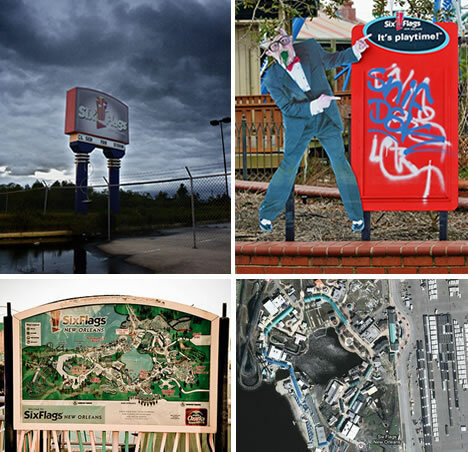 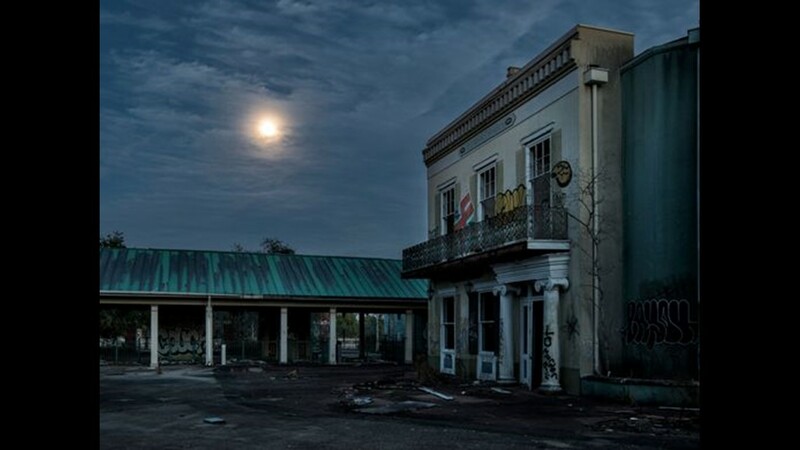 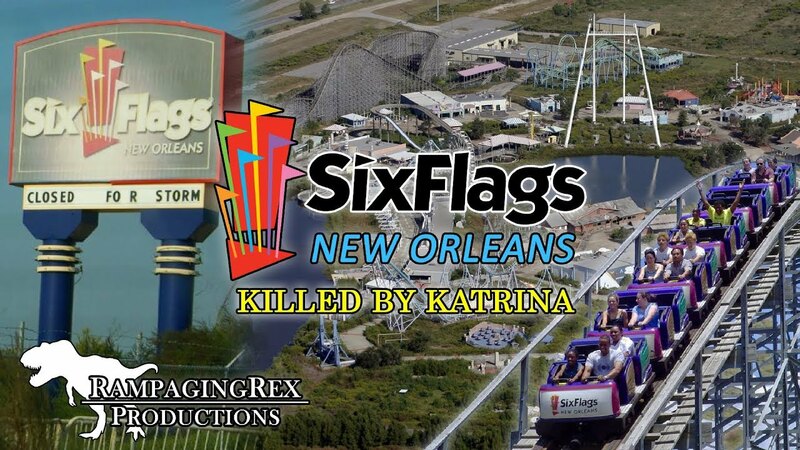 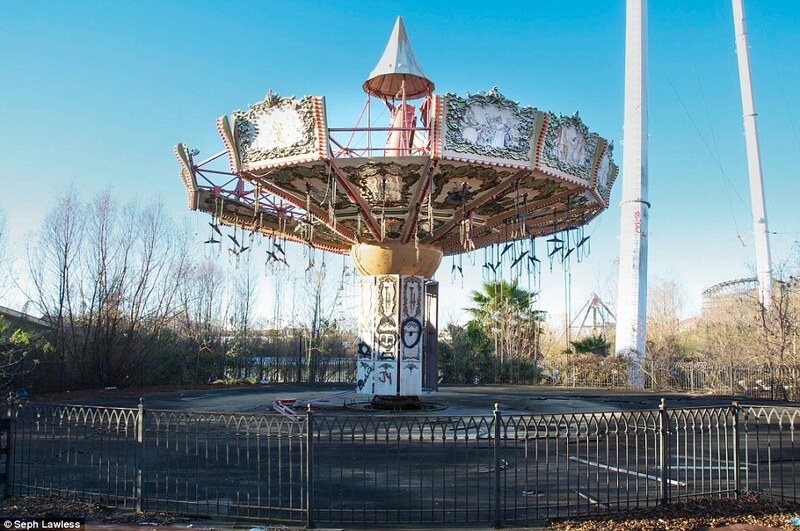 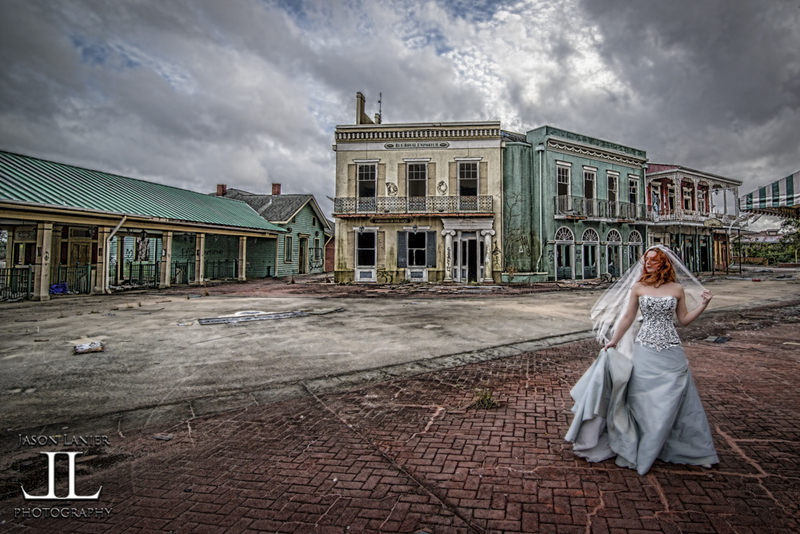 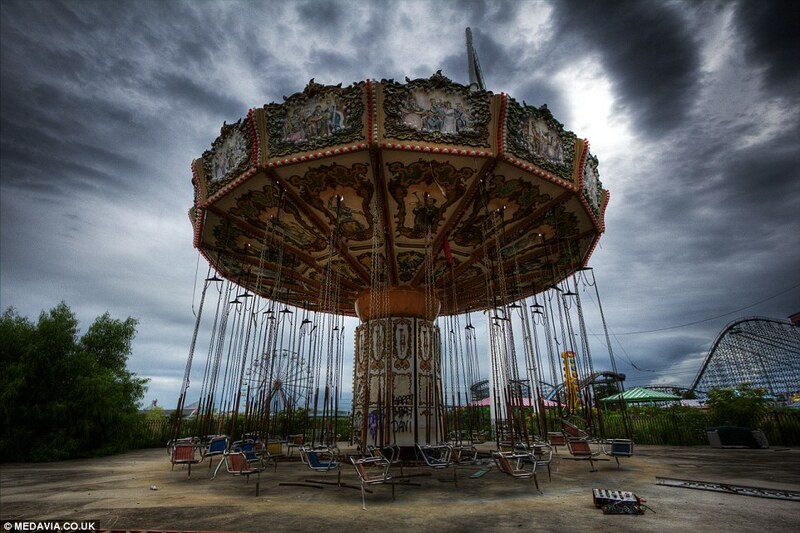 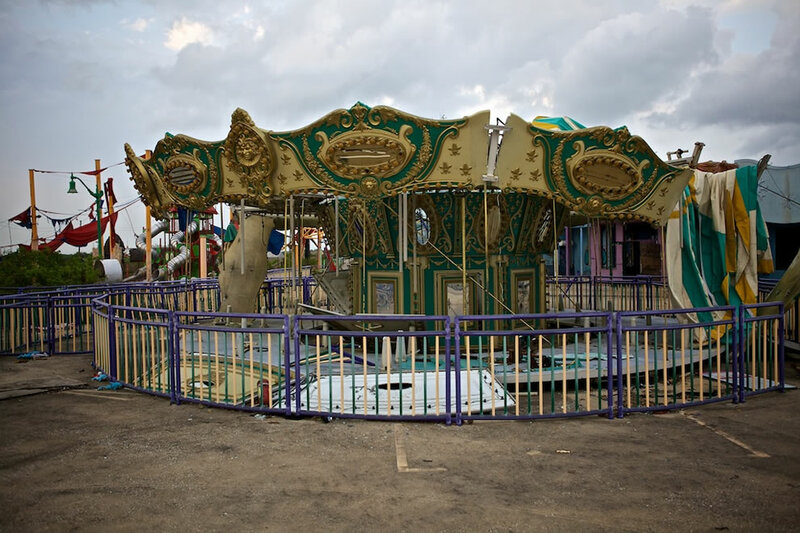 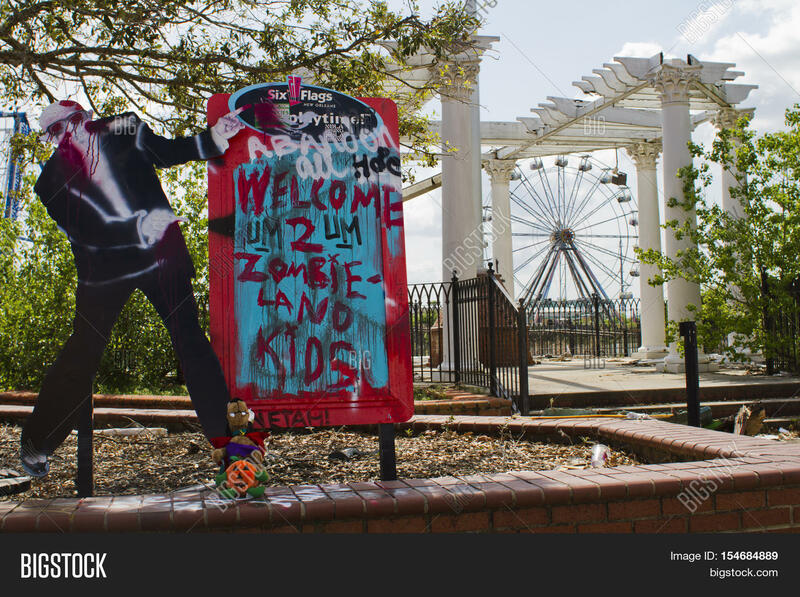 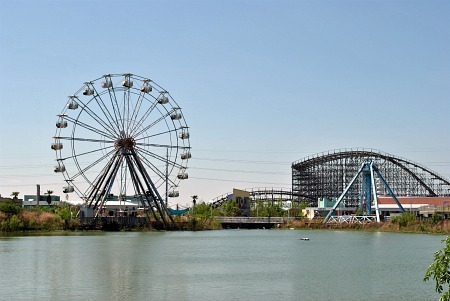 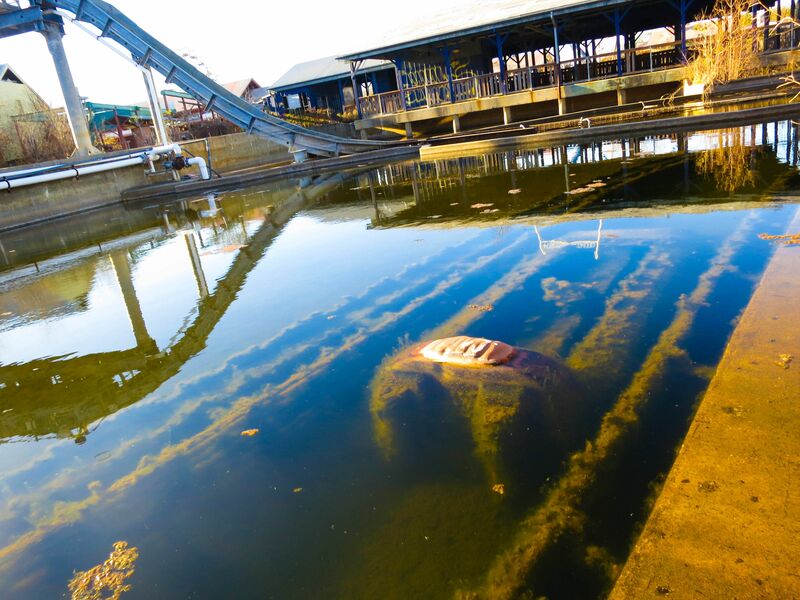 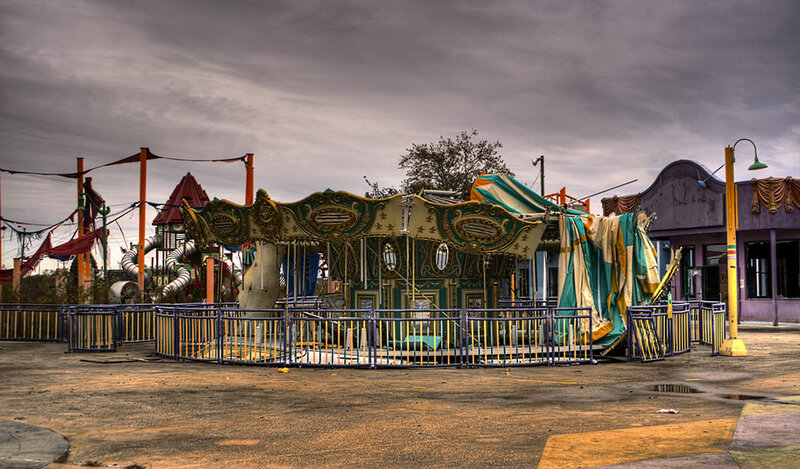 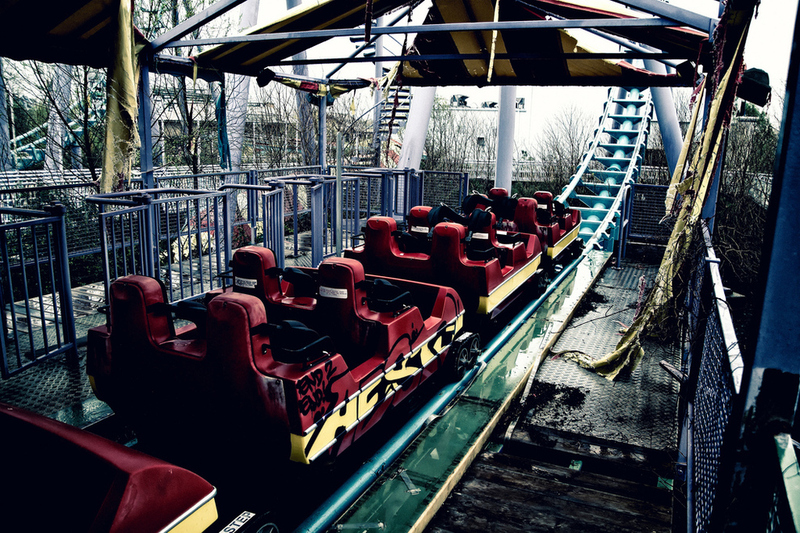 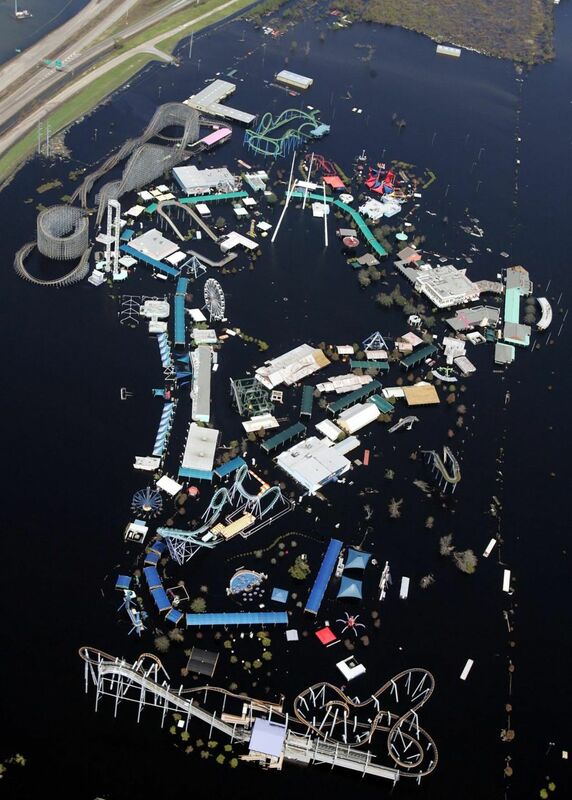 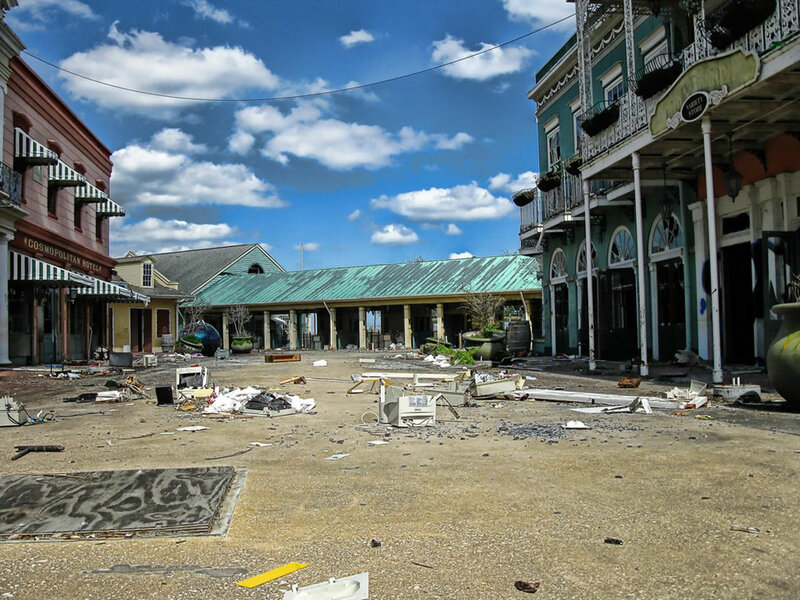 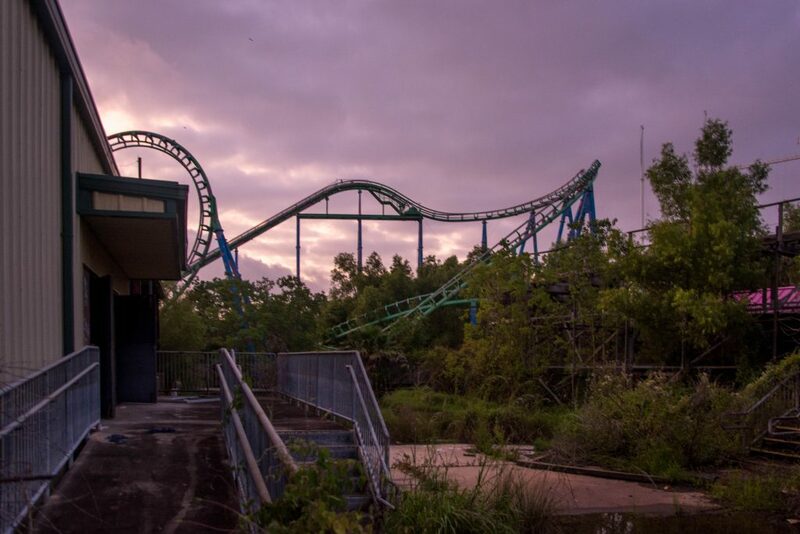 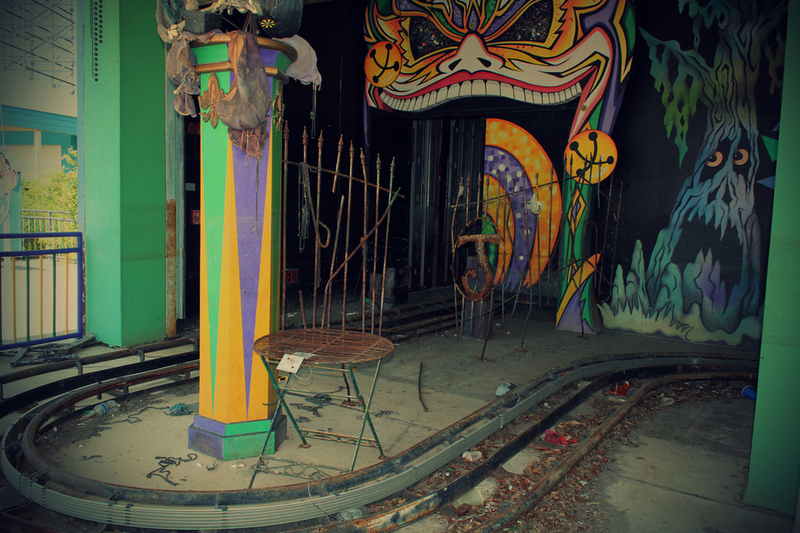 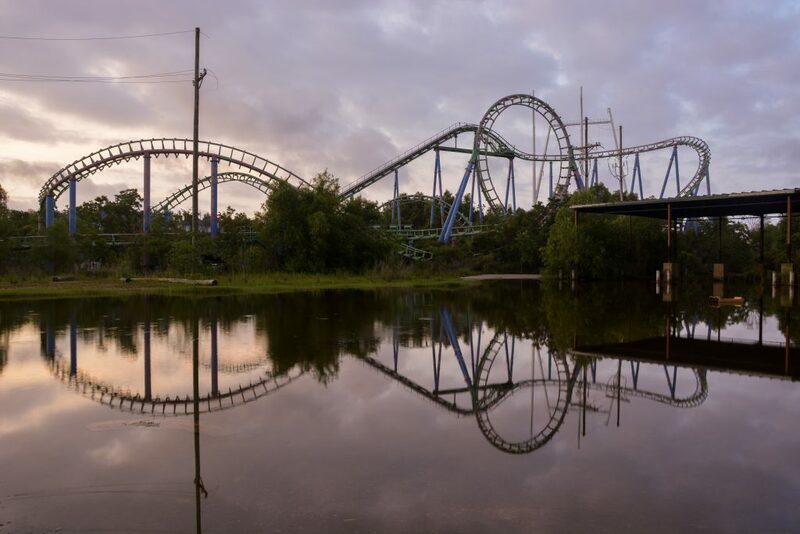 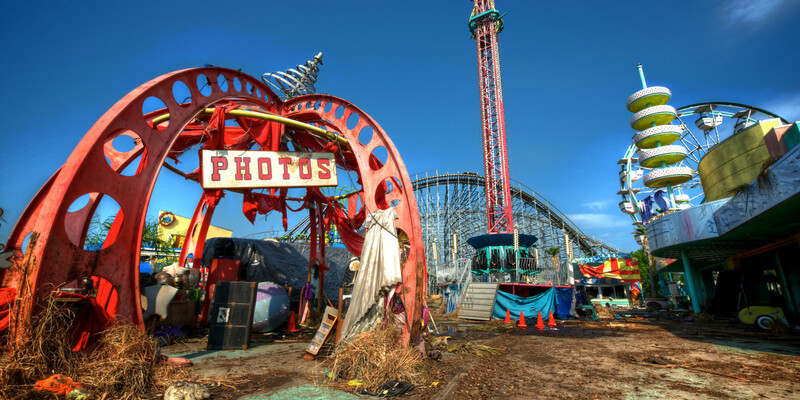 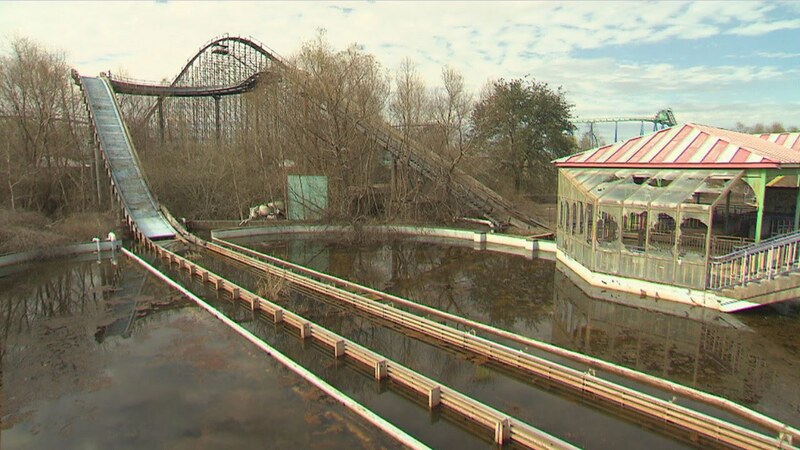 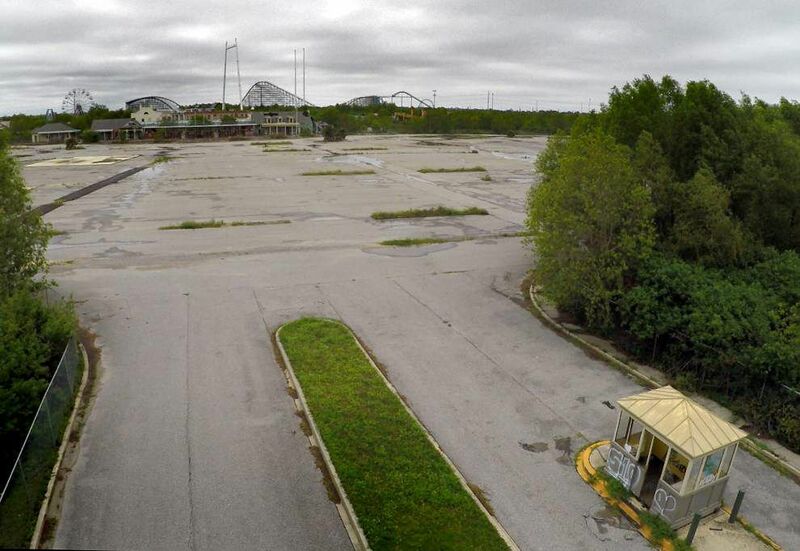 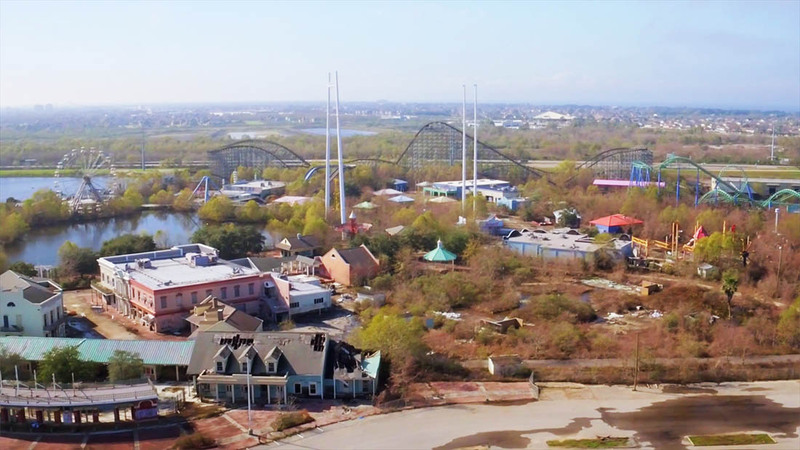 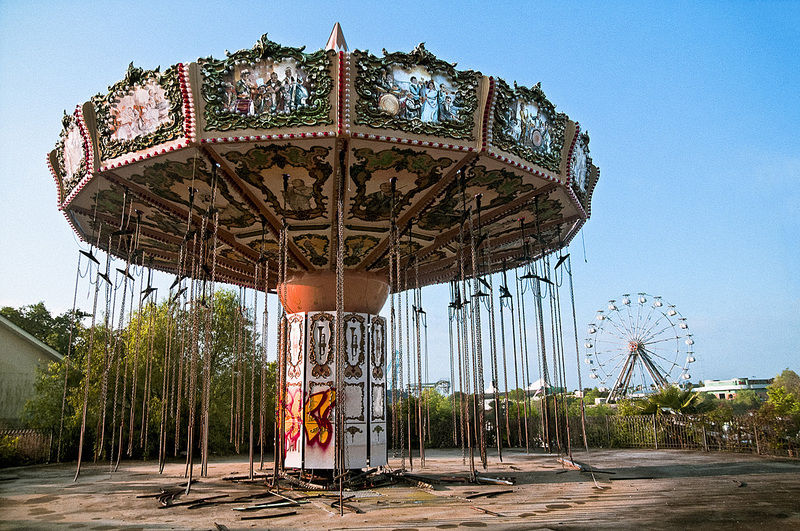 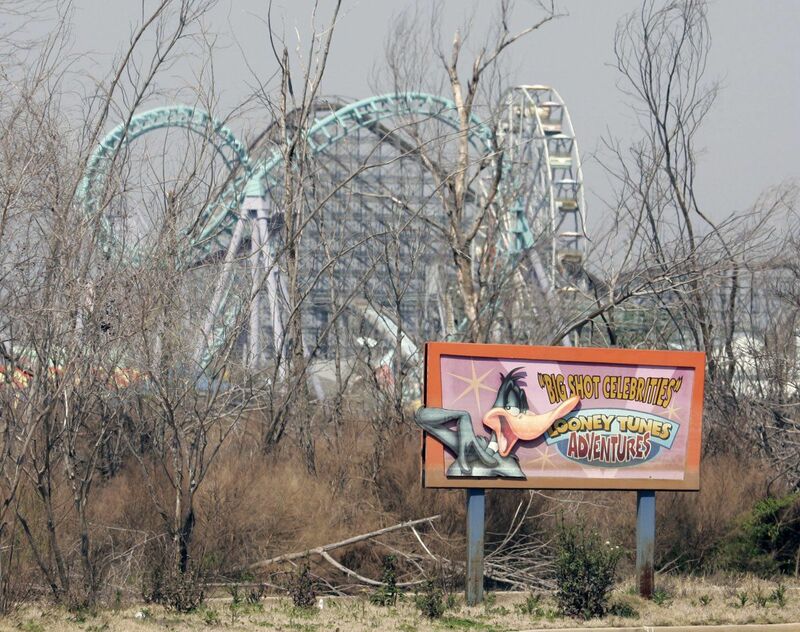 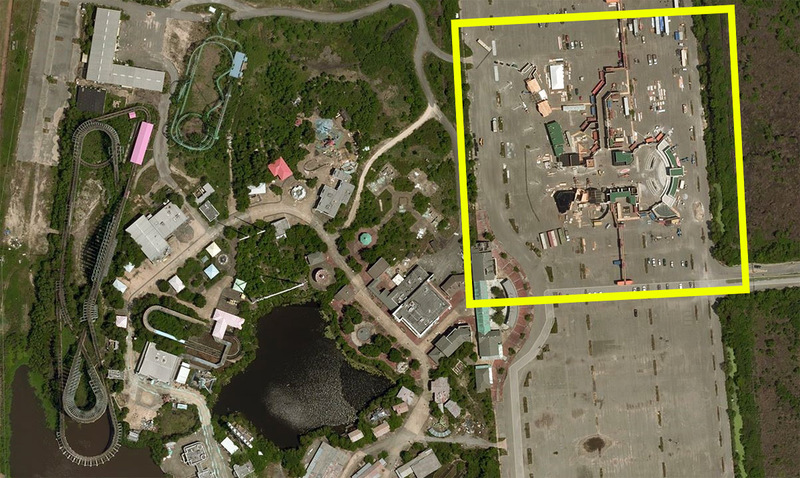 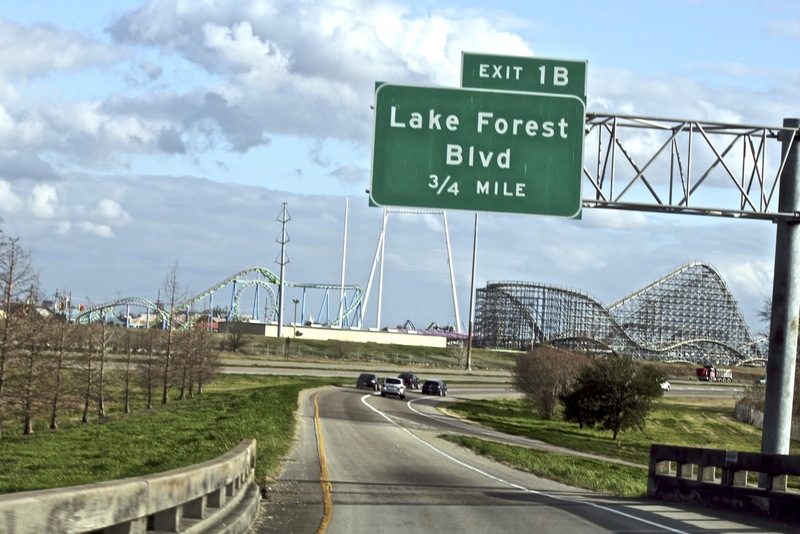 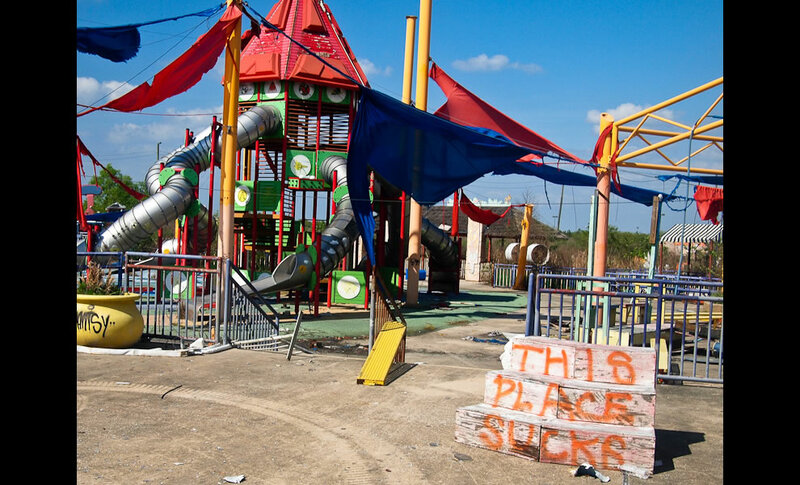 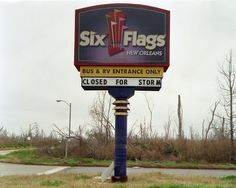 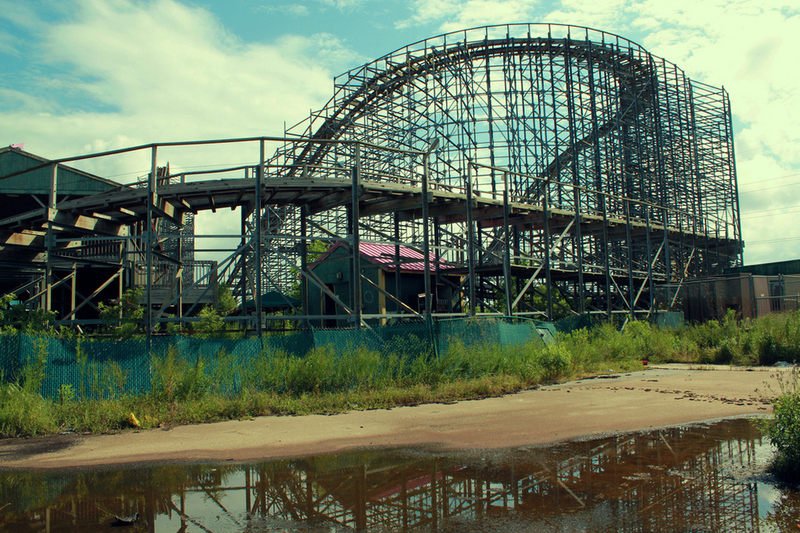 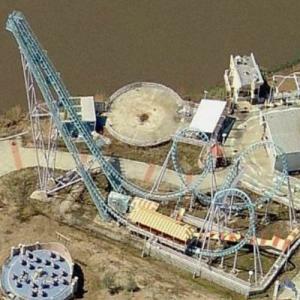 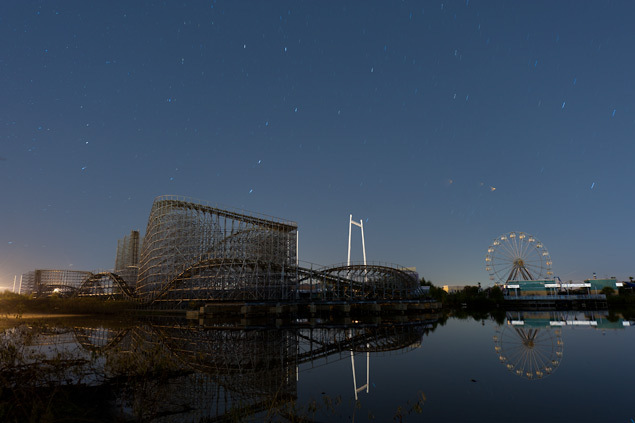 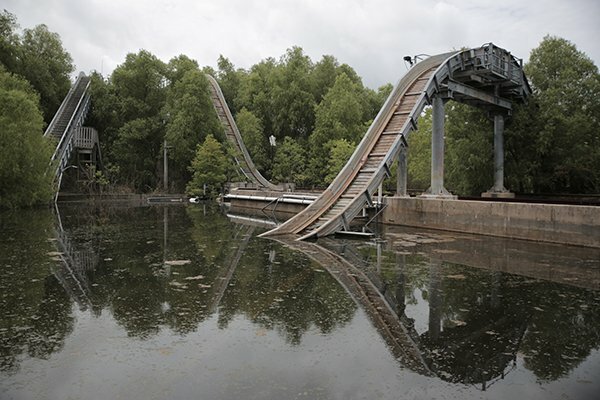 Six Flags New Orleans was almost completely submerged in Katrina's aftermath. 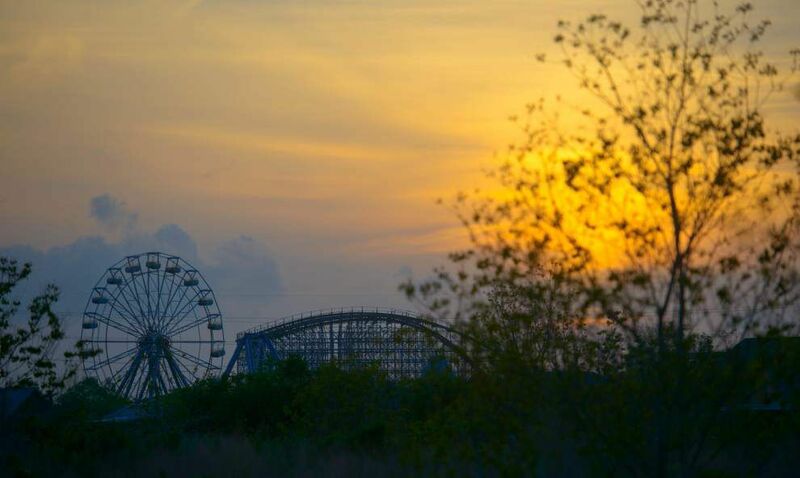 You hear the wind howling through the park. 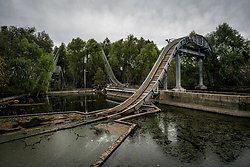 Broken gates creaking. 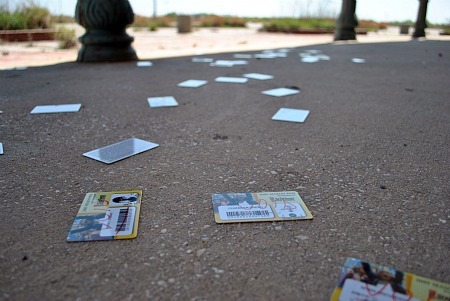 Leaves rustling across spilled papers and plastic utensils. 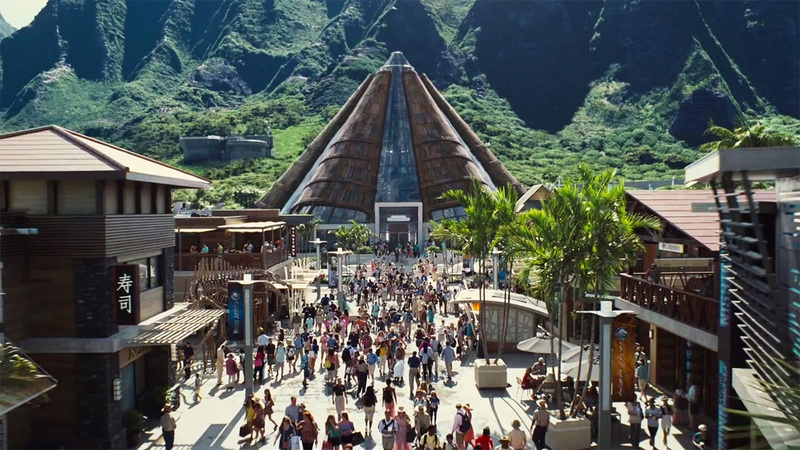 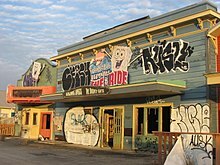 It's literally a ghost town. 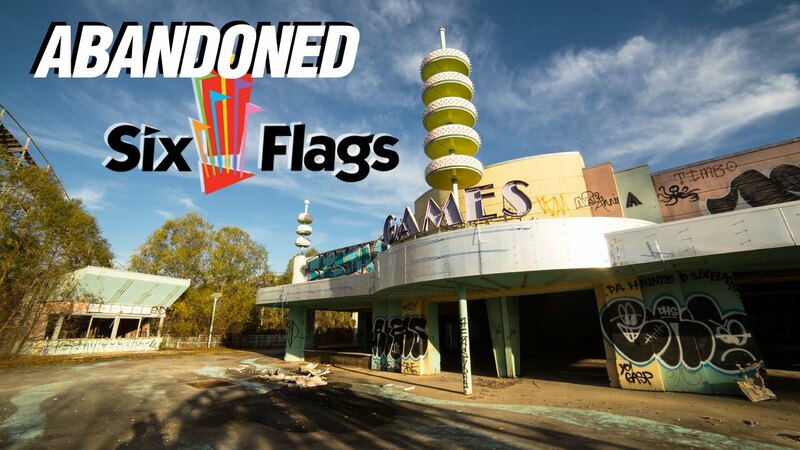 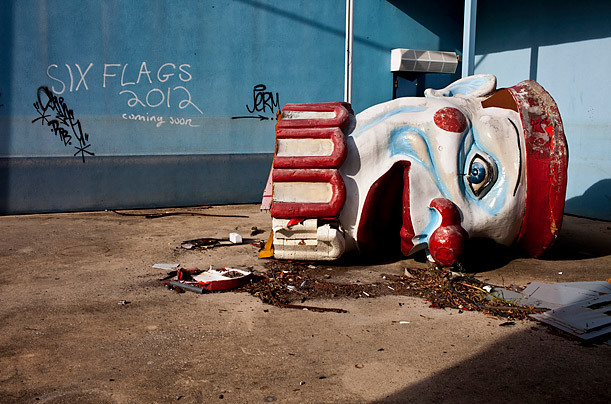 ITM fan Doug Todd is very familiar with Jazzland/Six Flags New Orleans. 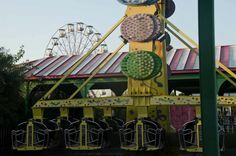 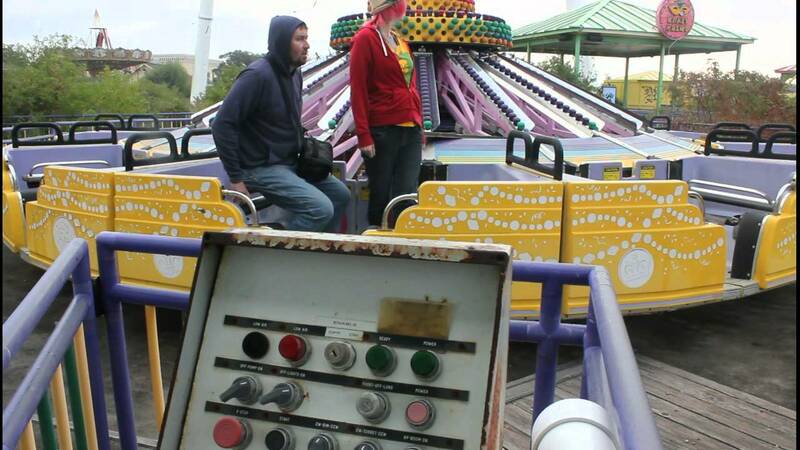 He used to run a fan oriented site dedicated to the amusement park. 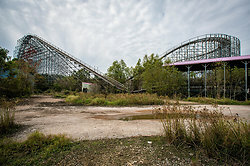 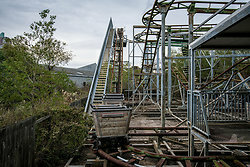 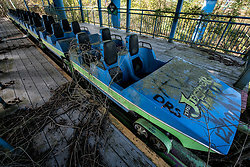 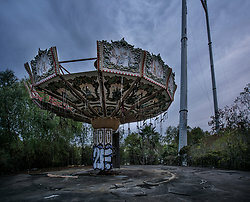 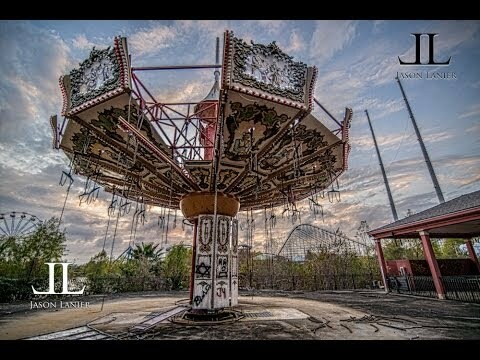 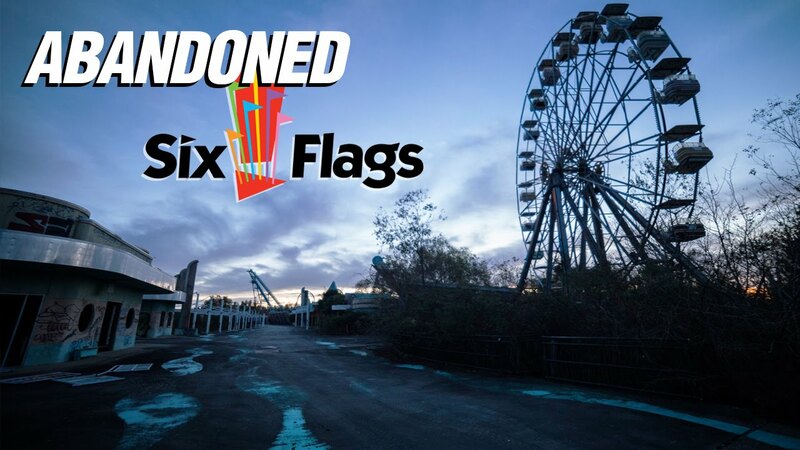 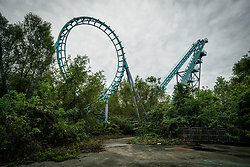 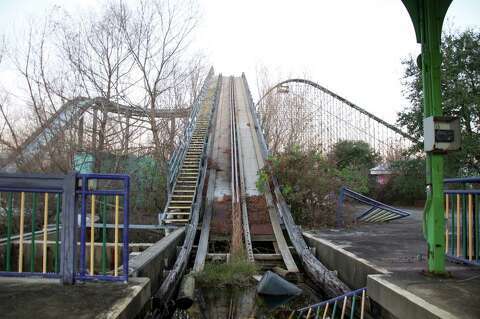 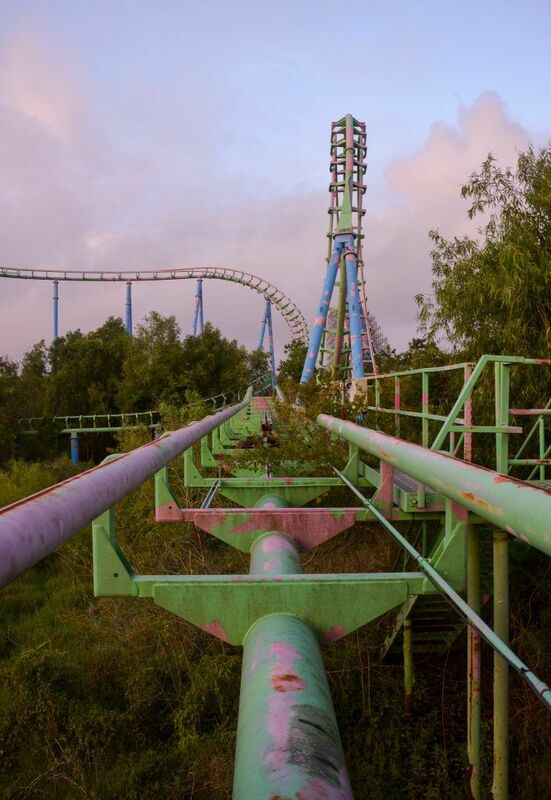 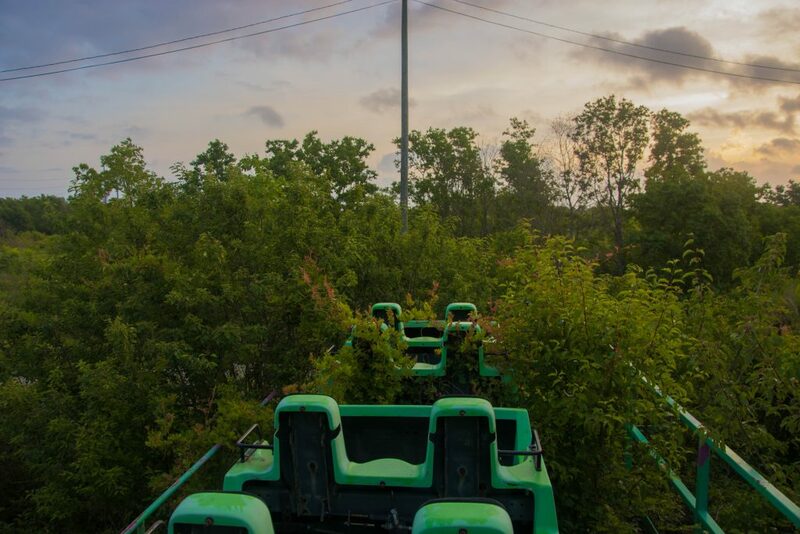 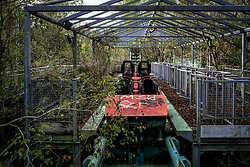 Abandoned Six Flags roller coaster - Watch out for that tree! 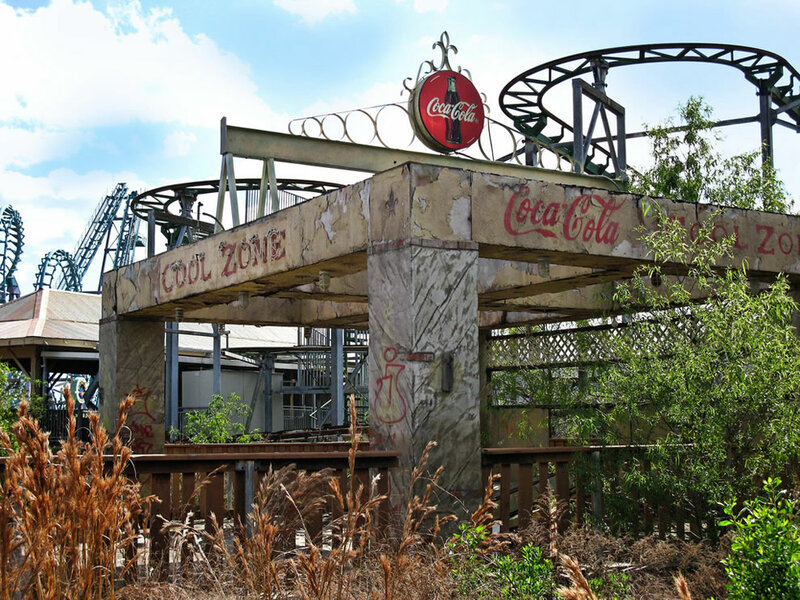 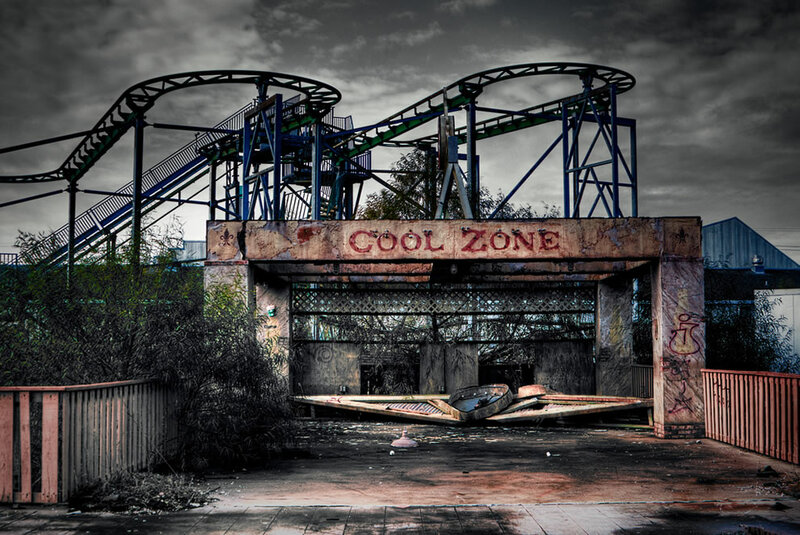 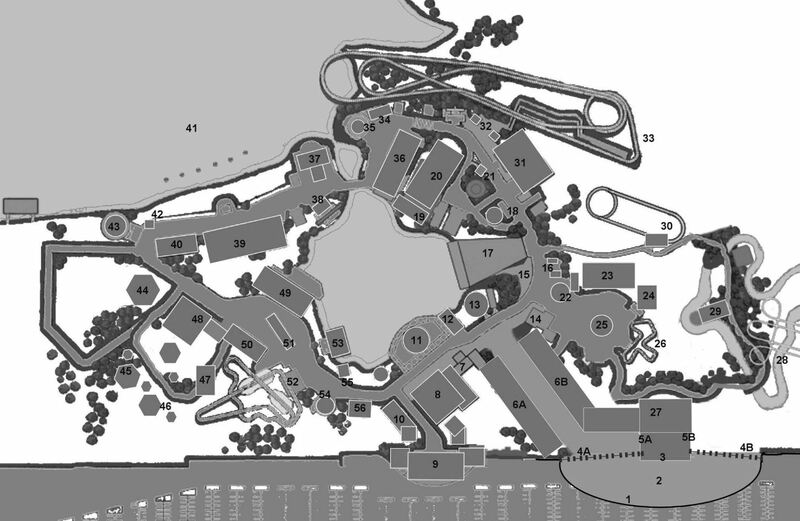 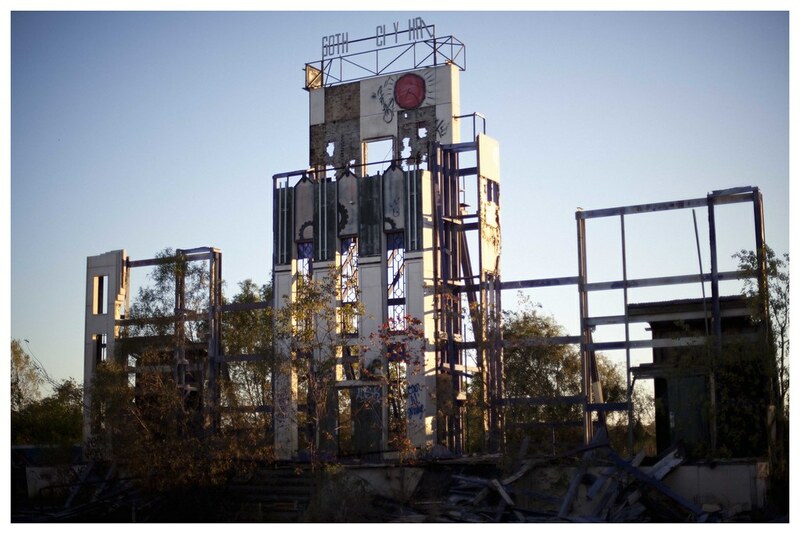 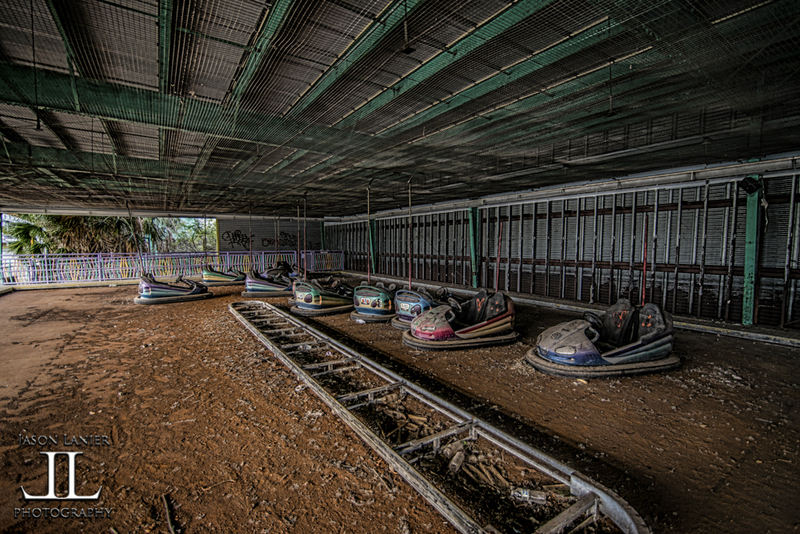 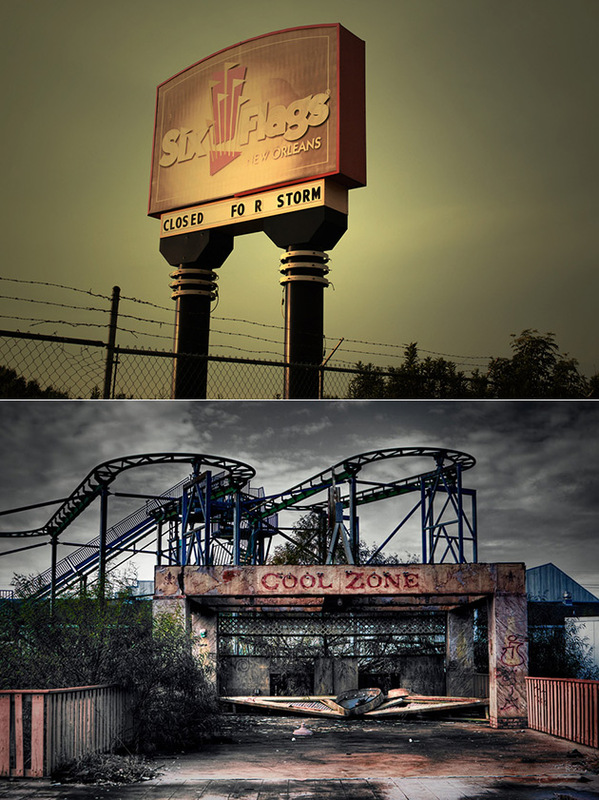 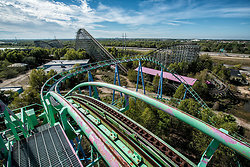 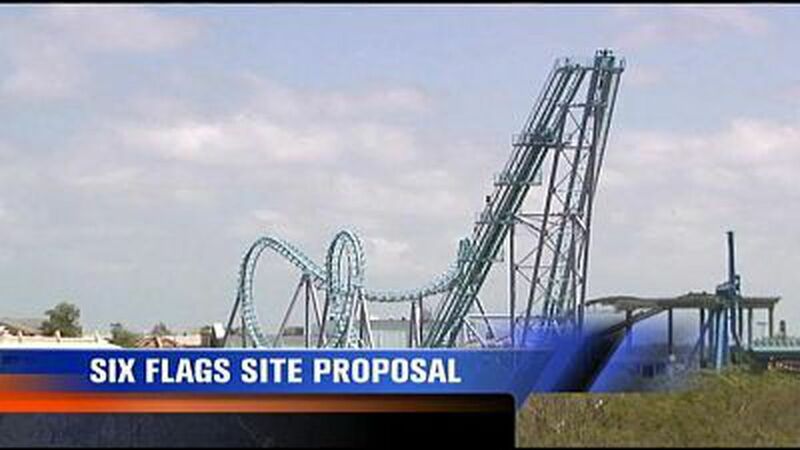 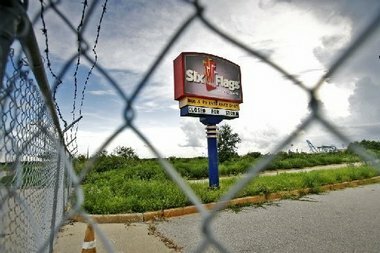 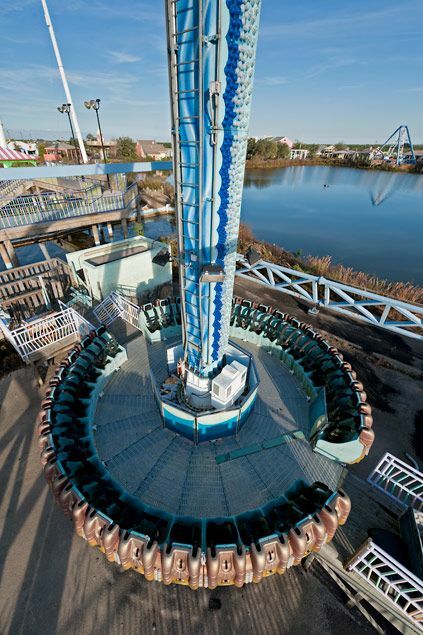 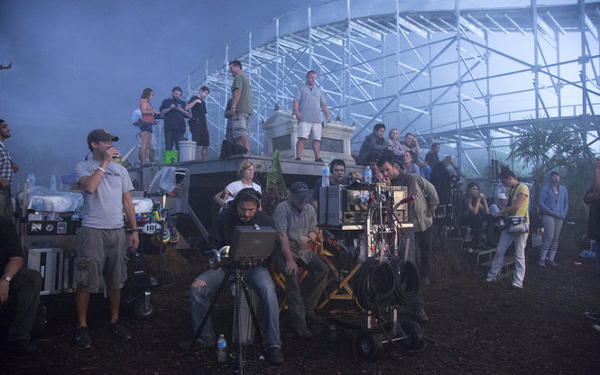 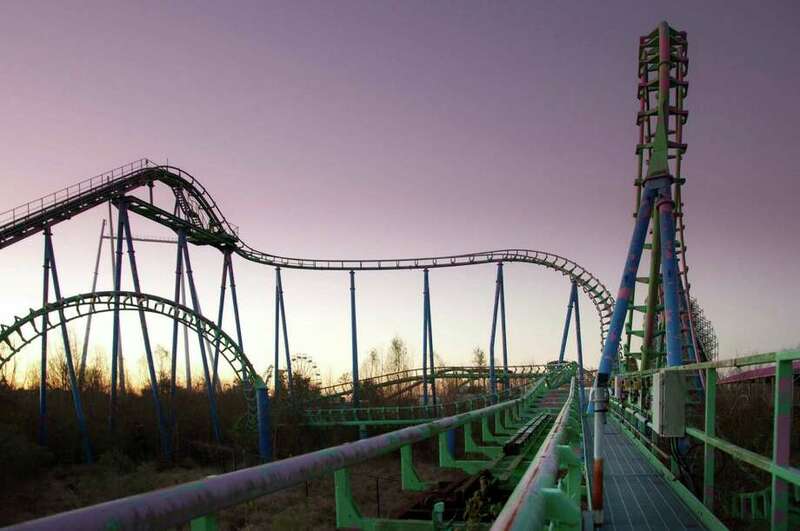 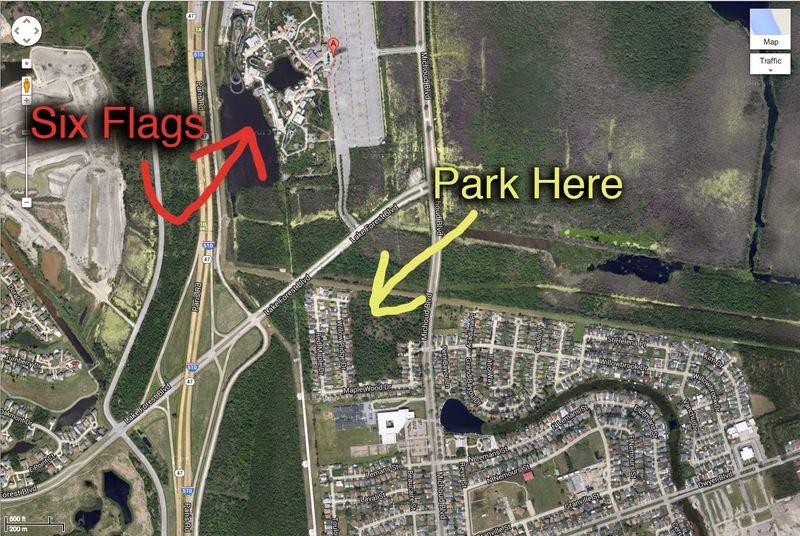 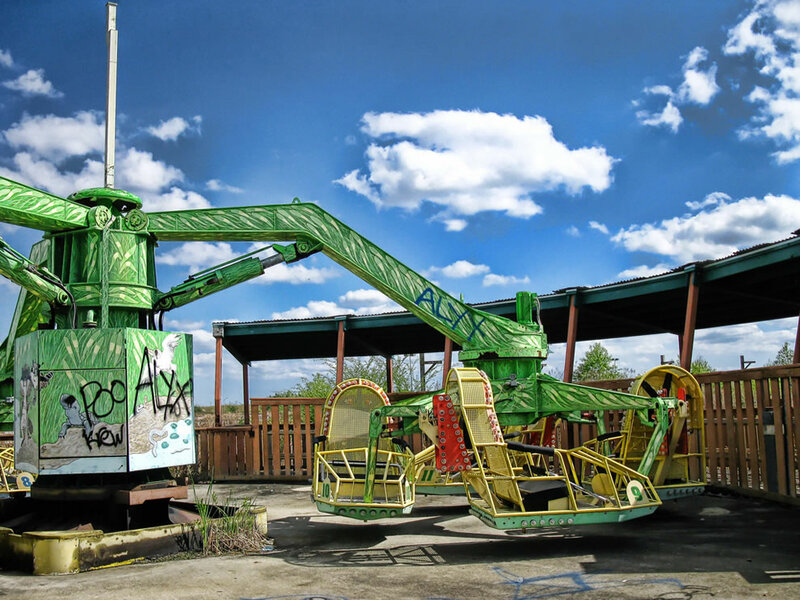 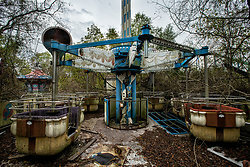 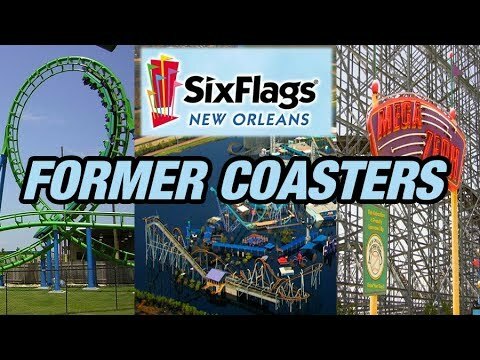 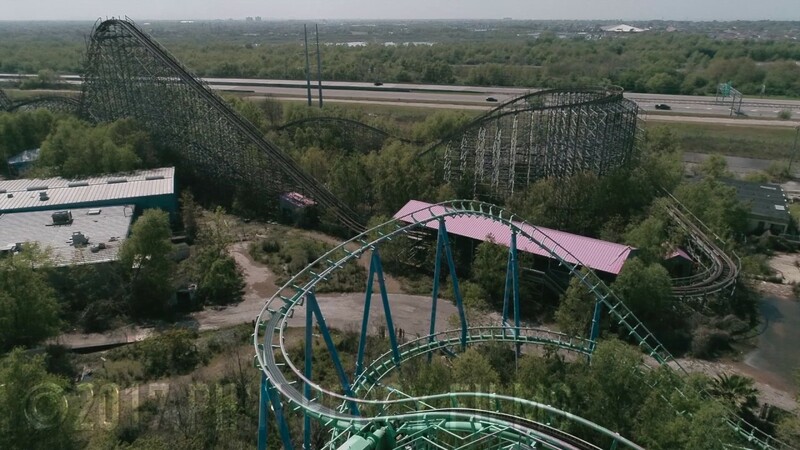 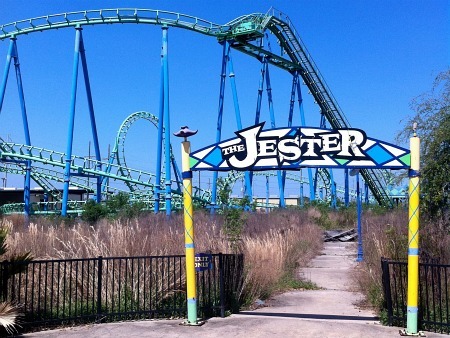 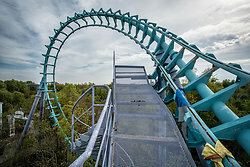 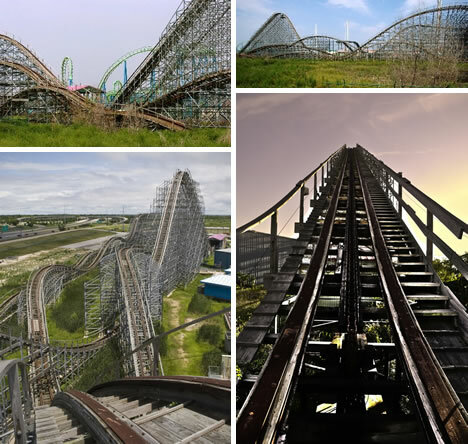 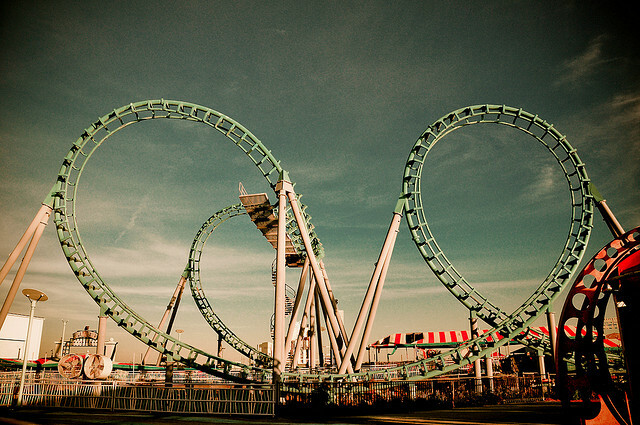 The Former Coasters of Six Flags New Orleans!